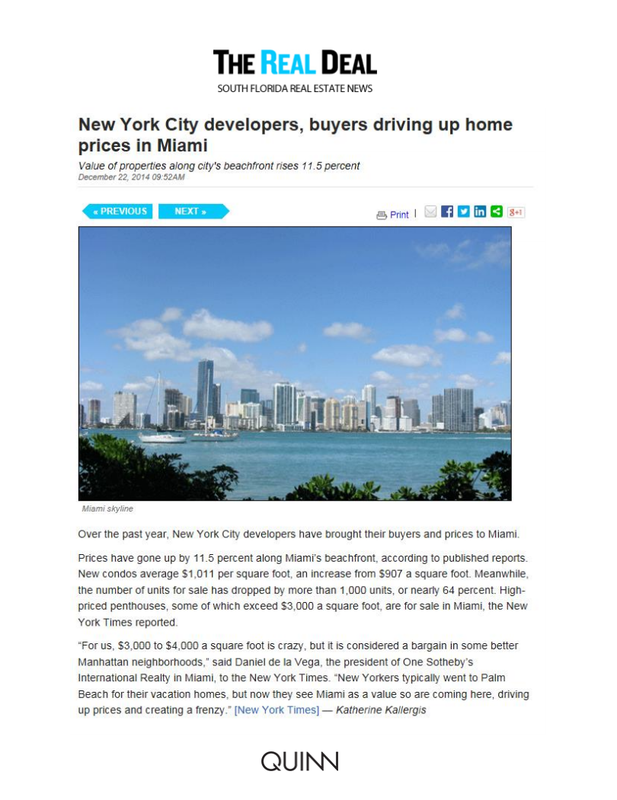 Over the past year, New York City developers have brought their buyers and prices to Miami. Prices have gone up by 11.5 percent along Miami’s beachfront, according to published reports. New condos average $1,011 per square foot, an increase from $907 a square foot. Meanwhile, the number of units for sale has dropped by more than 1,000 units, or nearly 64 percent. High-priced penthouses, some of which exceed $3,000 a square foot, are for sale in Miami, the New York Times reported.